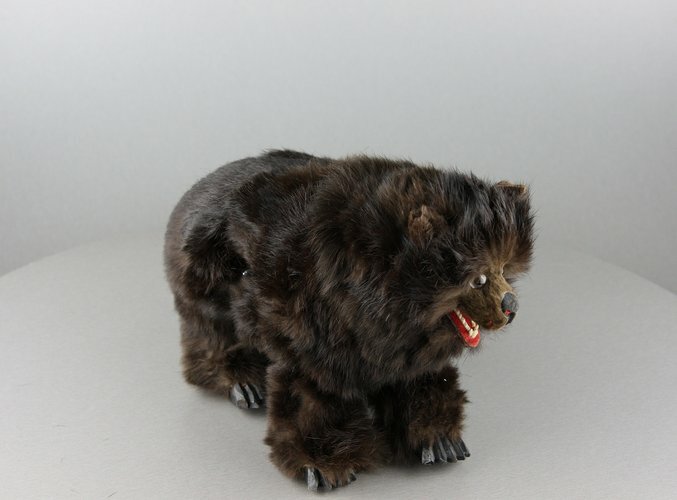 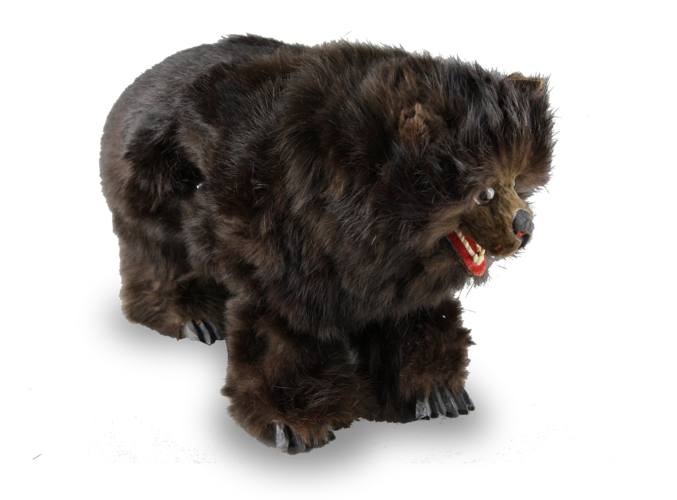 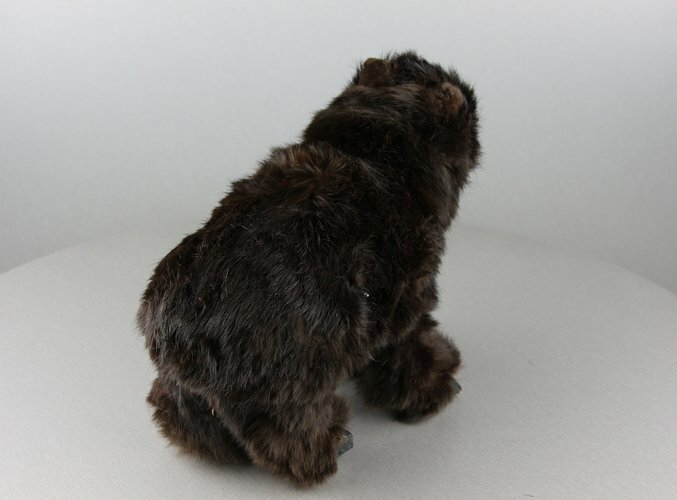 When wound by key-wind single-spring motor and actuated by sliding start/stop lever to his back, the bear turns his head from side-to-side, opening and closing his mouth, and walking forward with a growl produced by a friction disc from the motor. 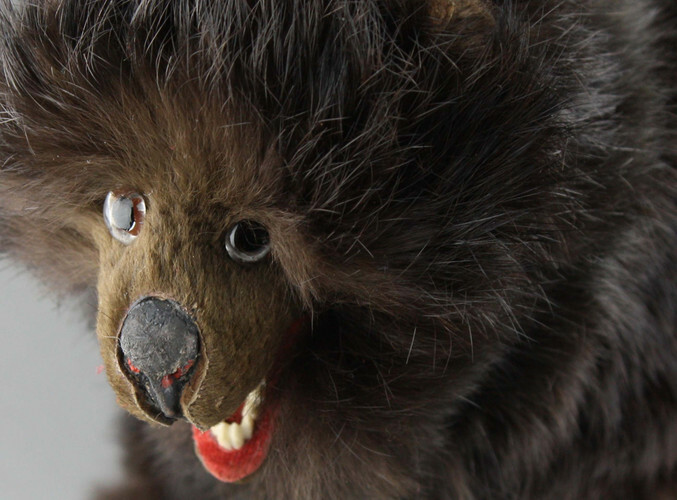 With glass eyes, carved and sharply cut bone teeth, painted ebonised feet. 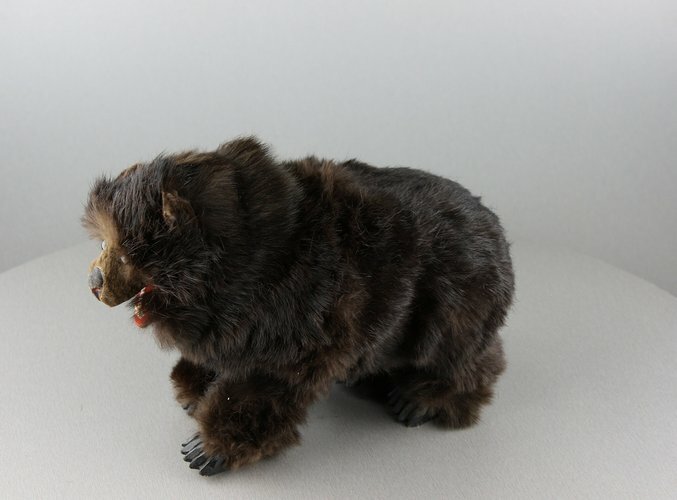 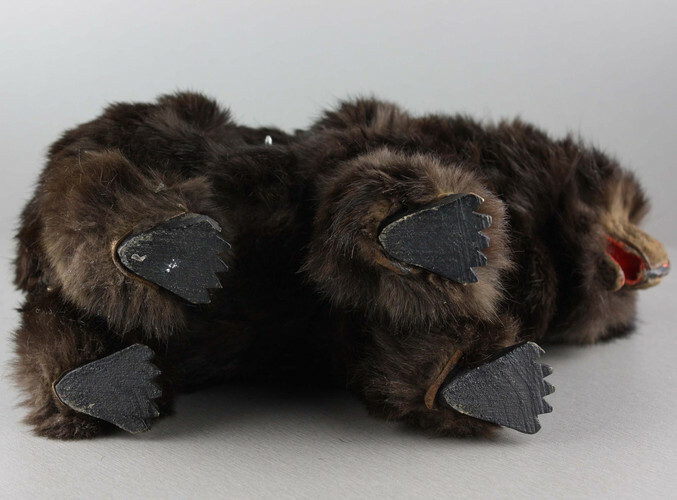 Renowned for their creations of animal automatons, this cute and cuddly antique bear is sometimes incorrectly referred to as a toy. 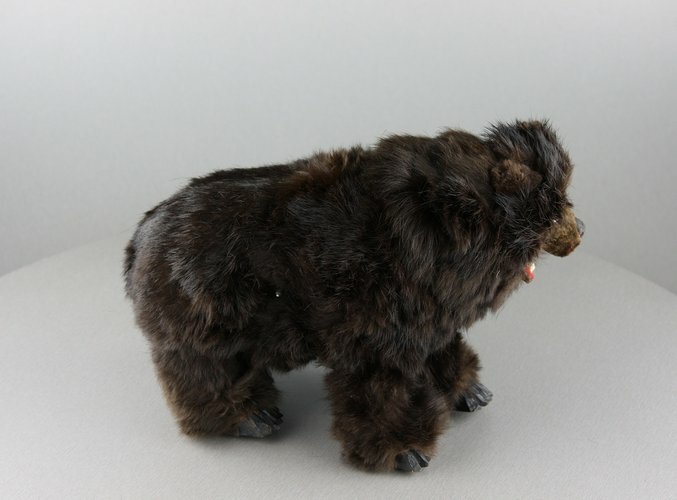 This is an adult piece which would have been placed on the table after dinner to enthrall the host's invited guests.